Vigorous variety creates quite a floral display with its yellow flowers, attractive blue-green foliage and long, charcoal-colored stems. Attractive ornamental seed pods extend the season of interest into fall. 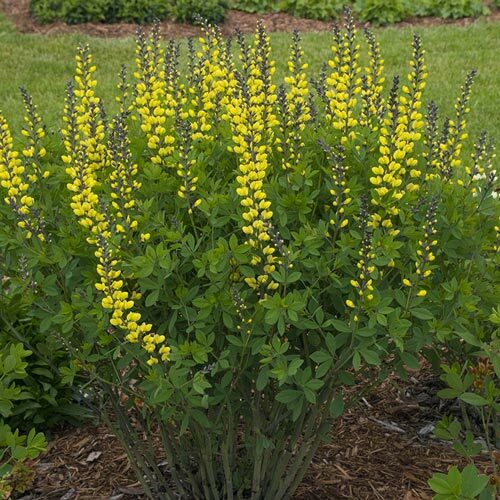 A new twist on a beloved native perennial, Lemon Meringue is more compact, easy to grow and low maintenance. Once established, the plants are very long lived and an excellent choice for meadows, as a backdrop in borders and as specimen plantings. While deer tend to avoid, butterflies are attracted to this plant. Planting InstructionsPlant in an informal border, hillside or wildflower garden. Flower FormPea-like flowers arranged up sturdy flower stems. Looks somewhat like a lupine flower stem. Foliage TypeGray green stems with 3-palmate leaves in a blue green color. Soil RequirementNot particular about soil requirements. 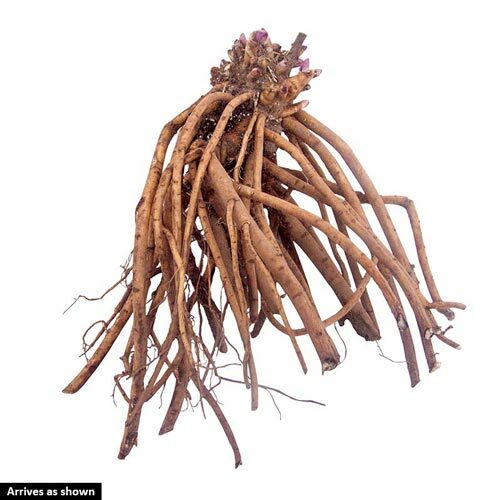 PruningRemove spent flower stems to maintain neat appearance or leave on to enjoy black seed pods which can be useful in cut flower arrangements. Unique CharactersticsWalters: You'll be impressed with the excellent vigor of this yellow flowered selection. 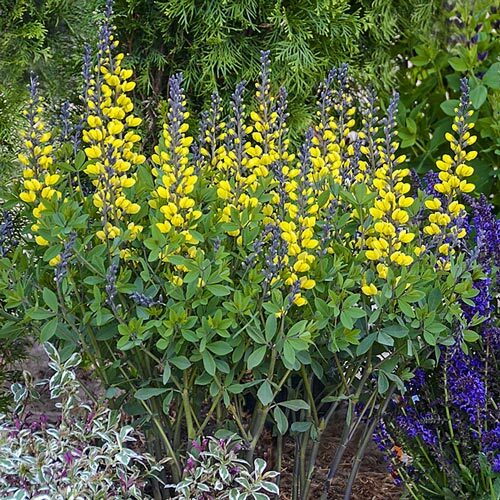 It forms an upright, vase-shaped mound of attractive blue-green foliage topped with long, charcoal stems which carry the lemon yellow flowers in late spring to early summer. The contrast of dark stems with light flowers really pops in the landscape, delivering an excellent floral display. Ornamental seed pods extend the season of interest into fall.Baptisia is easy to grow and will thrive with little maintenance. There are many potential applications in the landscape including meadow plantings, as a backdrop in borders, or as a specimen. Plants are very long-lived once established.The roots of the DECADENCE® series run deep-14 years deep to be exact. What started as a fun botanizing trip in the lower Midwest with a fellow botanist blossomed into a complex hybridizing project for breeder Hans Hansen. For over a decade, Hansen made countless crosses with many native Baptisia species he had collected across Texas and Oklahoma. These crosses resulted in an array of seedlings with unique flower colors and plant habits. Only the very best have made it into the new DECADENCE® Series, which includes varieties selected for their desirable flower colors and shorter, more compact habit.